Commissioner Robert Loughery speaking Tuesday. Tourism in Bucks County has a big impact. 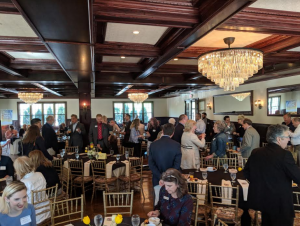 On Tuesday morning, Visit Bucks County and Bucks County Commissioner Robert Loughery briefed local destinations and economic partners on the state of the industry and on private-public partnerships during a breakfast at the stately Hotel du Village near the Delaware River in Solebury. 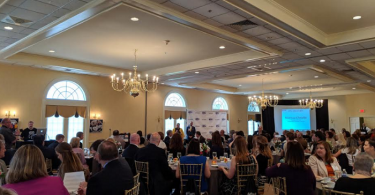 Supporting more than 12,200 jobs, $256 million in hospitality workforce earnings, and $1 billion in county-wide economic impact, tourism is a major driver for Bucks County’s economy. 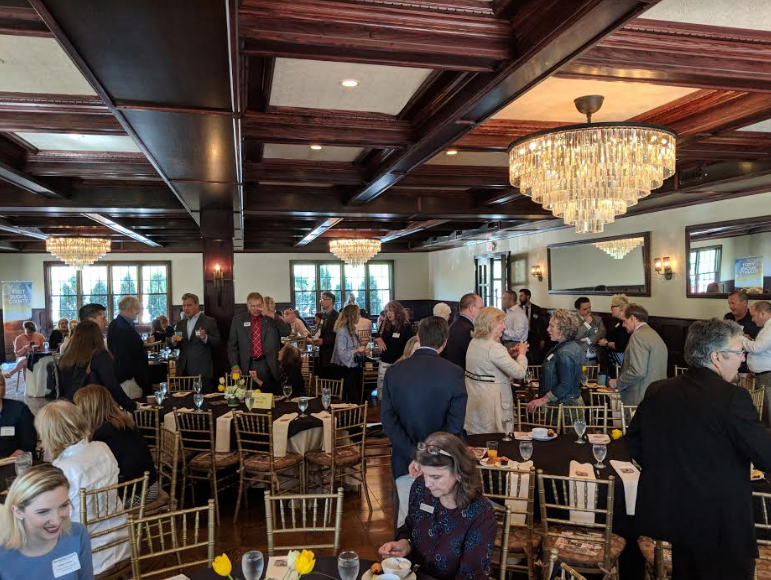 In Lower Bucks County, destinations like Sesame Place, Parx Casino, Pennsbury Manor, area farms, and local breweries are among the draws. Bucks County welcomes about 20 percent of the Philadelphia regions 42 million domestic visitors, Visit Bucks County Vice President Paul Bencivengo said. 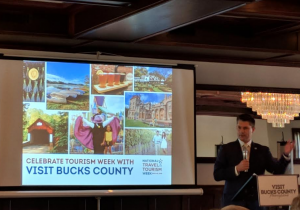 Loughery explained how all three commissioners support local tourism and realize the importance of it to Bucks County, noting that the county is in a prime location between Boston and Washington D.C. He added that the county is listening to the industry. 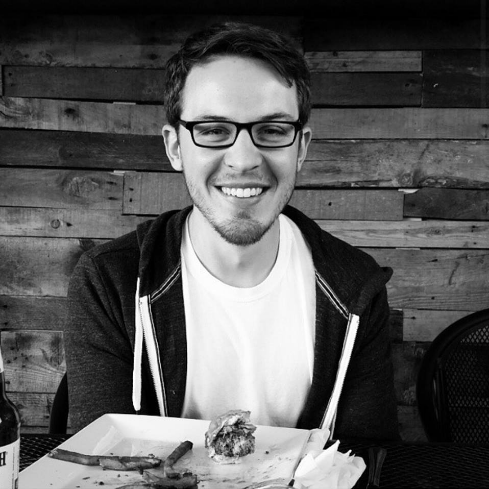 “We know tourism matters to the economy in Bucks County, he said. The commissioner explained that he believes county government should help the industry where needed but also stay out of the way in places it is not needed. 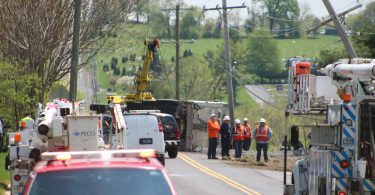 A $5 fee Bucks County added onto state motor vehicle registrations a few years ago brings in roughly $2 million a year that the county has invested in rebuilding and repairing county-owned bridges, Loughery said, adding that infrastructure is important to helping support the tourism industry. 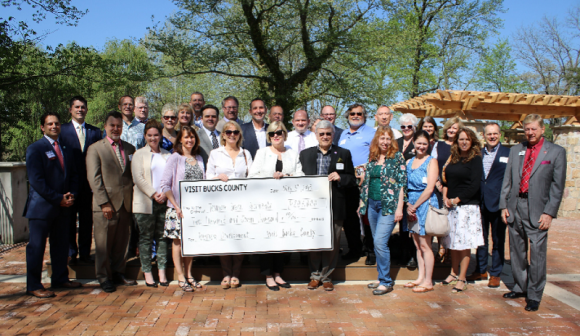 In addition to the infrastructure improvements, the county has also been working on workforce development programs, preserving open space and farms, growing recreational opportunities, and backing low-interest loans for new tourism destinations. Loughery explained that the county is working on it’s comprehensive trail plan that will add hiking, walking, and bicycle routes that connect Bucks County to the rest of the region. 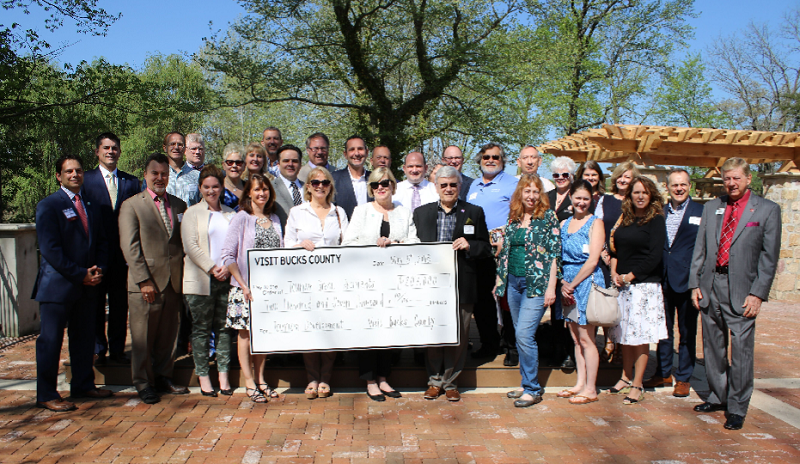 Moving forward, the county is developing programs to help locally-owned farms remain sustainable and working with breweries and wineries that would like to open. 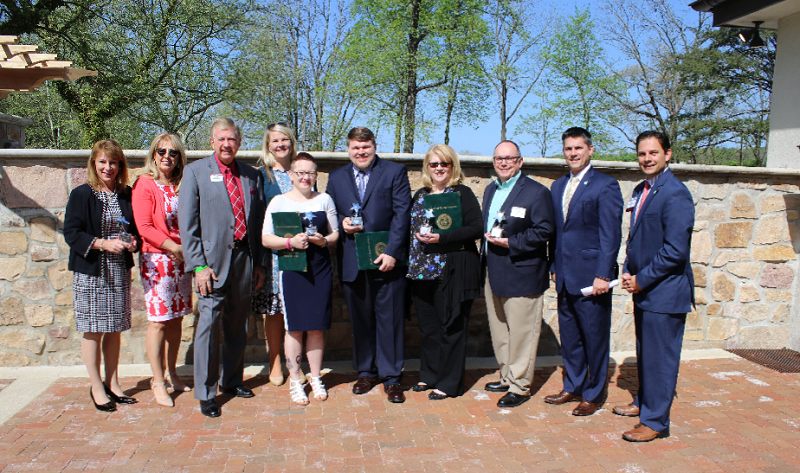 As it is National Travel and Tourism Week, Visit Bucks County handed out awards and more than $200,000 in grants to local members of the tourism community.